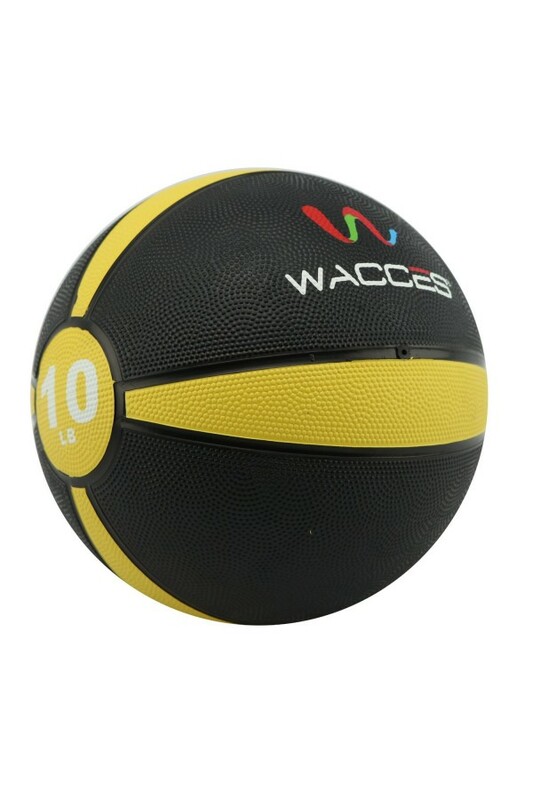 Wacces fitness products are proven to be the choice of many exercise and fitness lovers. 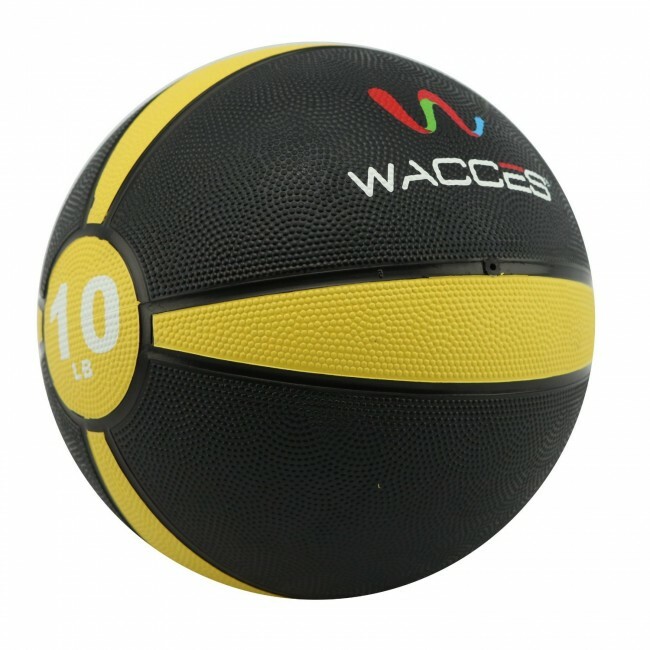 This Wacces Medicine Ball is paerfect for those house exercises or gym use. 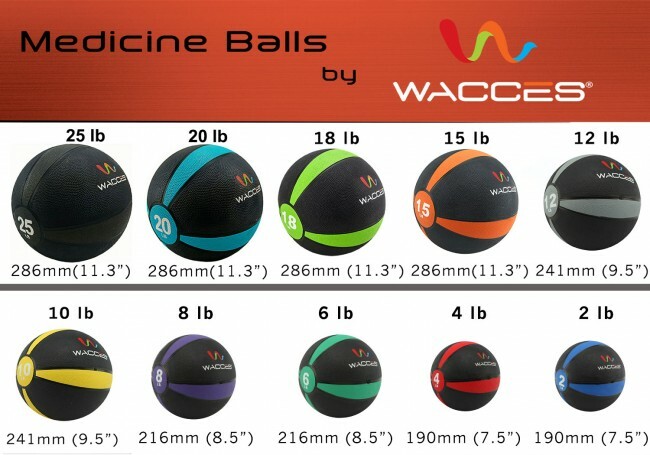 As a unique and practical alternative to bulky fitness equipment, Wacces Medicine Ball is a dynamic training tool for any workout. Great for plyometrics, performance training, yoga, pilates and sports therapy, this Medicine Ball will help you build and tone muscle mass for a strong and healthy body. Any number of exercises can be performed to strengthen and condition your legs, chest, arms and back. The durable construction is equipped with a textured surface for a solid grip throughout your workout. This Wacces ball is also great to use during warm-up and cool-down exercises so your muscles will be relaxed and properly stretched. Engage your core with every move, boost your speed, agility and overall power by using this rubber medicine ball. 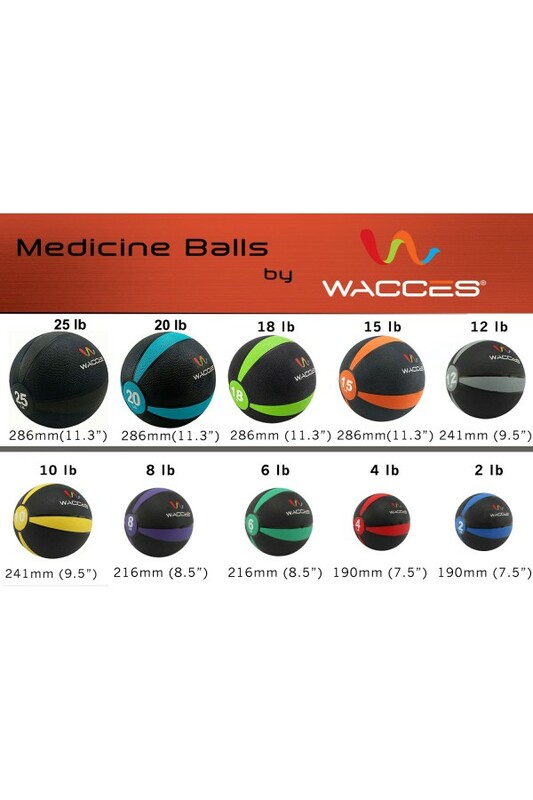 Make your workout even more effective with Wacces Medicine Ball! Made with a unique textured gripping surface for superior grip and handling. Great for flexibility and movement exercising. Available in different colors and weights.